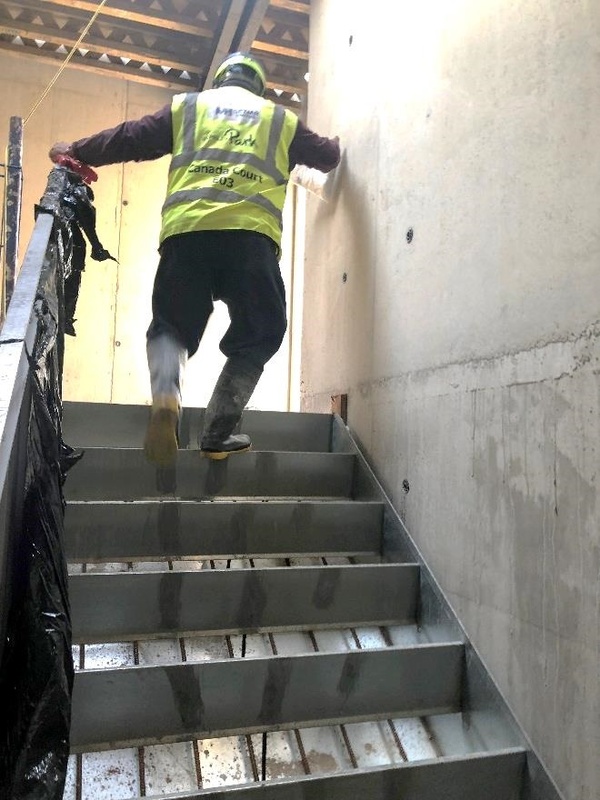 To construct the main stairs in each Block on the E03 project, the unique Stairmaster system is being used. 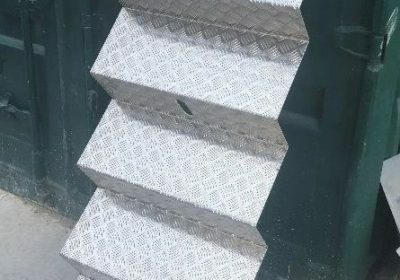 In order to construct the stairs using this system, a temporary deck is installed to build the half landing and landing. The Stairmaster is then lowered into position using the tower crane and is supported by the temporary deck. The next step is to install the reinforcement for the landing and half landing. This involves operatives carrying reinforcement up and down the Stairmaster mould. Until now, this was done by precariously stepping on the riser form and has always been accepted as the safe method of work for this system. On the Eo3 project, an operative carrying out this activity aggravated an old back injury by losing his balance. This made the E03 team challenge this and brainstorm some ideas of how we could make this safer. 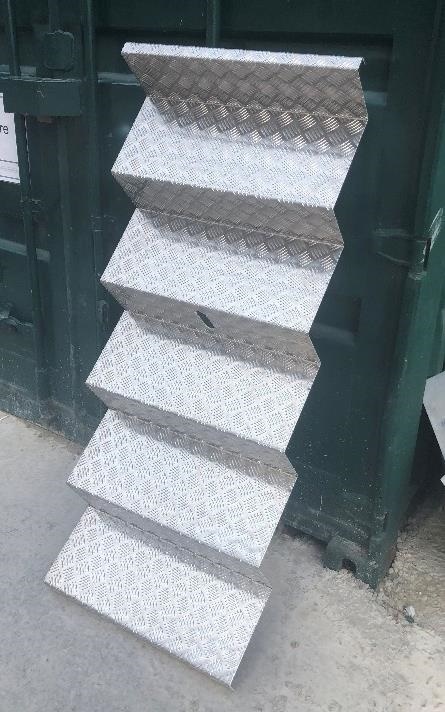 This solution was to trial temporary steps made out of checker plate. 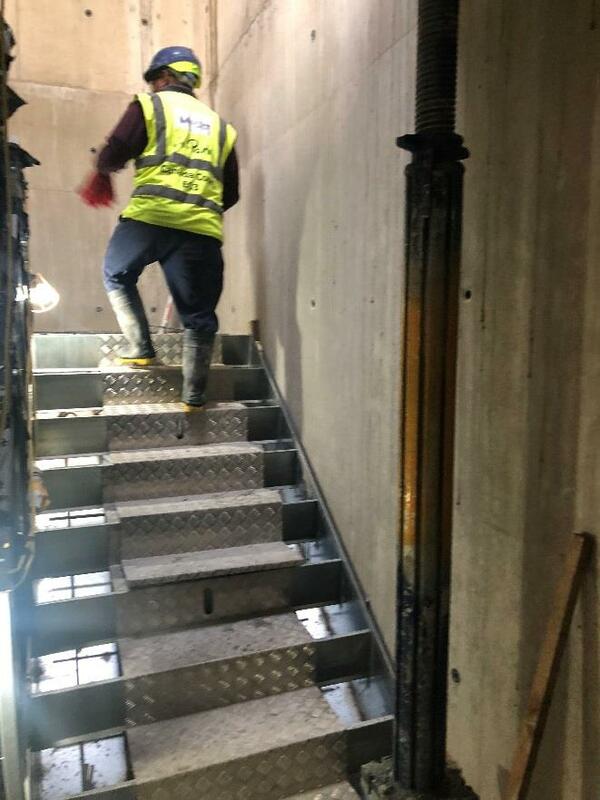 We had two sections of checker plate bent to the dimensions of the Stairmaster mould including a hook at the top to stop it from sliding. Each section weighs 14kg so can be easily installed and removed using the handling cut-out in the middle. 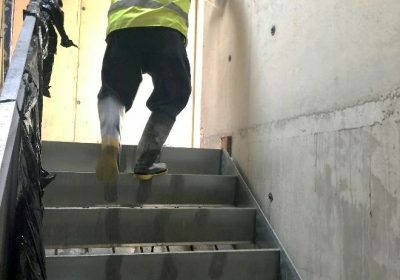 The feedback from operatives using the Stairmaster has been excellent and they did not need to be asked twice to put it to use.